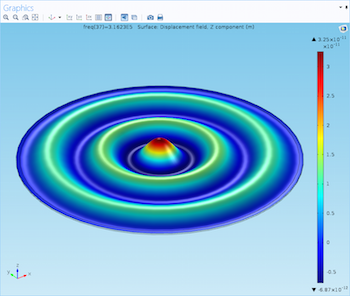 When simulating acoustic waves, vibrating mechanical hardware, or fluid in a channel — just to name a few applications — you may be interested in visualizing the movement or shape change in a device. 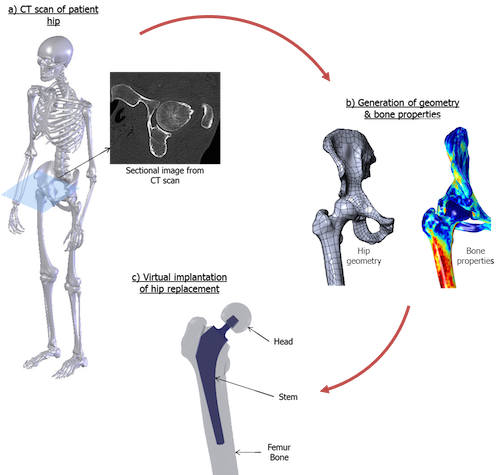 Postprocessing and visualization can help enhance your understanding of simulation results, and using plots to illustrate physical motion allows you to put everything into perspective. Deformations are a great way to accomplish this. 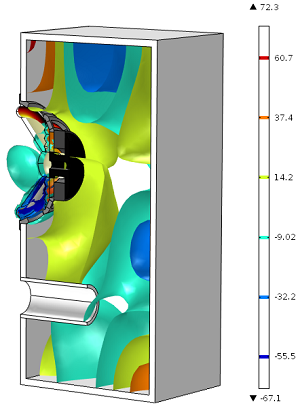 Last month, we saw examples of contour plots (and their 3D counterparts, isosurfaces) that were created to show the stress in a pulley and the acoustic frequency in a loudspeaker. 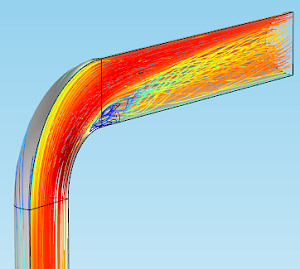 In this installment of the postprocessing series, we’ll explore the use of streamlines to visually describe fluid flow. 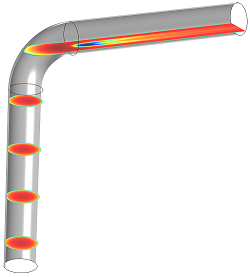 Last month, my colleague Ruud described some of the most effective ways to use arrow plots in your COMSOL Multiphysics simulation results. In this next installment of the postprocessing series, I’ll continue with slice plots, which are an easy way to visualize physics behavior on many different parts of your model. 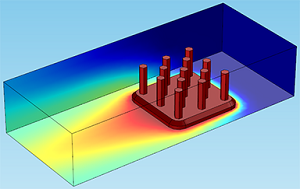 In recent posts, we have covered a variety of plot types used for postprocessing simulation results in COMSOL Multiphysics and the ways that they can help you understand and share your results. 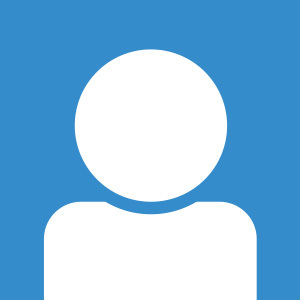 Now let’s take a look at some tricks to simplify work in the graphics window. 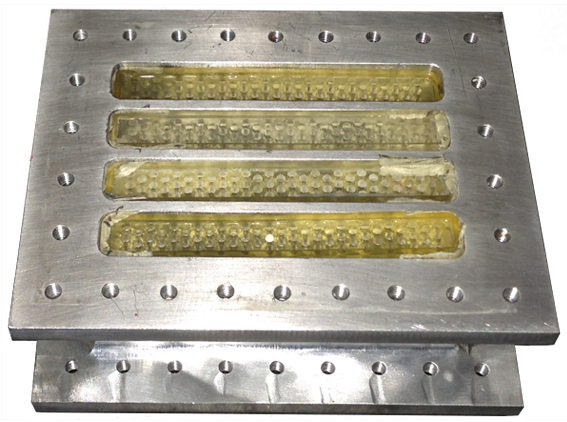 In recent postprocessing blog posts, we’ve demonstrated different plot types that are typically used for common fluid, mechanical, chemical, and electrical applications. In the next several parts of this series, we’ll introduce a few more unusual plot types that are specific to unique applications and discuss some other tools that you can use to change the feel of your visualization. 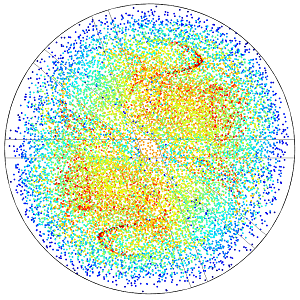 Here, we highlight polar, far-field, and particle tracing plots. In the previous installment of the postprocessing series, we showcased techniques for visualizing results on cross-sectional slices. 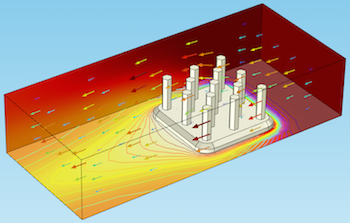 Now, we’ll discuss how contour and isosurface plots can be used to show quantities on a series of lines or surfaces. 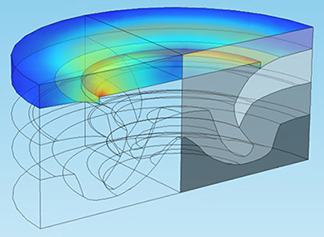 Though they’re usable in many applications (from heat transfer to acoustics), we’ll specifically look at how they can show mechanical stress in a driving pulley and sound pressure levels in a loudspeaker.